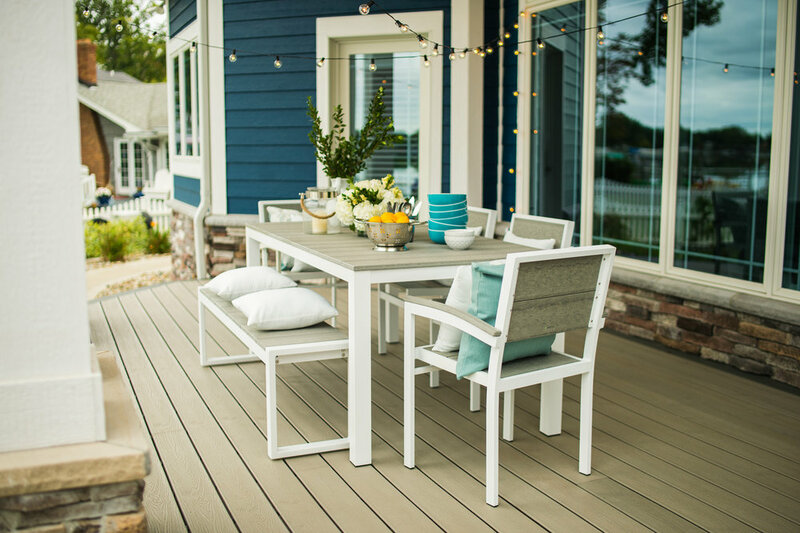 Bring the family together for outdoor picnics, summer chats, and board games under the stars with the Park City Modern Outdoor Dining Collection. This modern outdoor dining collection is made with a durable, open-style powder-coated aluminum frame, which is available in three beautiful color options. Choose between textured black, gloss silver, and textured white for an outdoor dining set that perfectly matches your landscaping and decor. The cozy outdoor dining side chairs, arm chairs, and benches along with the sleek tabletop are made with premium HDPE slats and accentuated with a gorgeous, natural wood grain. This set delivers the authentic wood look that you want with the all-weather durability that you need for years of happy outdoor memories to come. You'll love this collection for its simplicity and custom options.